The board of Local Trust , the charity creating lasting change in communities throughout England, has appointed Matt Leach  as its new chief executive, a role he will take up in early 2017. Local Trust is a charity that enables residents and those they trust to create lasting change, supporting communities to ensure resident and community-led transformation of people and places. Matt Leach is currently CEO of HACT, the social housing sector’s ideas and innovation agency. Prior to joining HACT in 2011, Matt was, variously, CEO of civil society funding agency Capacitybuilders, associate director of the ResPublica think tank, a director at the Housing Corporation, led start up work on the London Thames Gateway Development Corporation and held a range of senior roles at DCLG and the Cabinet Office. Big Local is an exciting opportunity for residents in 150 areas around England to use at least £1m each to make a massive and lasting positive difference to their communities. Big Local brings together all the local talent, ambitions, skills and energy from individuals, groups and organisations who want to make their area an even better place to live. Big Local is funded by the Big Lottery Fund and managed by Local Trust. Nationally we work with a range of partners to deliver Big Local, building on the skills and experiences of others to provide expert advice and support for residents. In September 2016 Local Trust announced outline plans for a major new research project that will capture the contemporary value of community development and scope its future. 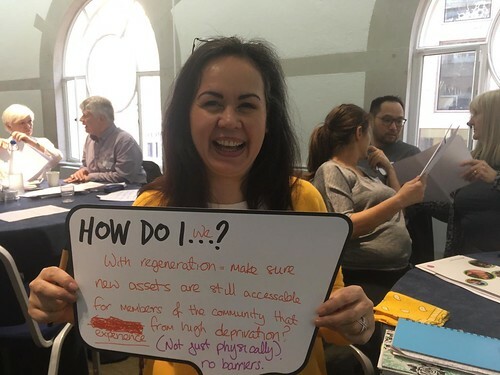 The project theme is ‘Empowered communities in the 2020s: shaping the future of community development’ and is funded by the Community Development Foundation and the Joseph Rowntree Foundation. The findings from the research will inform further work to improve working with communities including the allocation of the £500k gifted to Local Trust by CDF on its closure in March 2016.